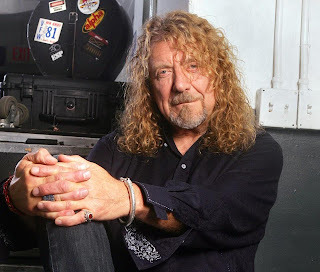 Of the more than a dozen albums Robert Plant has released post-Led Zeppelin, 2005’s “Mighty Rearranger” might sport the most apt description for what he has done with his career. From the glorious stomp of Led Zeppelin to the poppier passages of some of his solo work to his more recent deep dives into American roots music with Alison Krauss and Band of Joy (featuring close friend Patty Griffin) and his current exploration of what he’s calling “urban psychedelia” with the Sensational Space Shifters, Plant likes to keep reorganizing his musical molecules into new configurations. He also likes to rework his classic songs in concert to keep things fresh, as he will when the Shifters come to the Bank of America Pavilion on Thursday. Q. Are all of the songs in the set list getting reworked? A. No, sometimes things are a little bit normal [laughs]. But we usually turn around and watch [Massive Attack multi-instrumentalist John] Baggott’s face as he turns all the levers and the knobs of his sound machines, and sometimes I think he’s having a sexual experience [laughs]. And of course there’s that much dope in the air as well that we all end up stoned about halfway through the show and all really need a tuna melt. Q. So it’s been satisfying? A. Well you know, the thing is, it’s not a particularly studied or dignified performance, it’s wild. Q. Why did your antenna point you in your current direction? A. A lot of the songs that I’ve been singing since I began my working relationship with Alison Krauss have been structured to such a degree that the kind of free-form vocal work that I’ve made my reputation on was kind of gone. I was singing around pieces that began and ended with beautiful harmonies . . . but now I can let it rip. Because of that my voice is getting stronger and stronger and opening up more and more and more. . . . I’m just sort of celebrating within my own imagination of a what a singer does when he’s playing against a guy [Juldeh Camera] from West Africa who’s playing a one-string fiddle. Q. Which is a new experience for you, so it must be refreshing. A. I don’t know anybody in the world who’s singing with a riti player. I don’t know anybody who came out of a band in the ’60s and ’70s who’s playing this kind of trance, urban, heavy psychedelic [expletive], and he’s allowed to have a career! Q. You’ve been fortunate to have a loyal audience. A. But let’s not forget that I’ve been doing this [solo career] for 33 years. So I’ve had people grudgingly [complain about the set list]. I’m not going to be doing any Honeydrippers songs or “Raising Sand” stuff or Band of Joy stuff. Well, maybe one, because I’m back to a real far-out crescendo of music and delivery and all that. I do dodge around and I have to dodge around, and I know that I’ve got the right audience and I don’t care how big or small it is. I can get out on the road, everybody has a great time. We laugh lots and lots and I don’t have the pressure that would come with any other [project] of mine. A. The thing is I’m relentless and I love what I do. . . . Anybody who thinks that singing is a career is already in trouble. It’s just an absolute lifetime vacation of cause and effect, and really I’m genuine about what I do. I don’t do it for the bucks and I don’t do it for kudos, I just do it for me, really. So I don’t go off and have some arty-farty experience somewhere, I make the West African sound work around my energy. [It’s] a crunching sound that is part Massive Attack, part Led Zeppelin, and part Jefferson Airplane. Q. You made some lovely contributions to Patty Griffin’s record. A. It’s a bit of a cliché in a way for me to be singing with her, as we are such close friends, but the thing is it was the right voice and the right place to embellish her songs. And then we wrote that song “Highway Song” together. And I think she’s such an impassioned writer and singer and participating member of a world community. She’s brought a lot to my being and my presence. I’ve dumbfounded her with British insanity, which has made her laugh a lot more than she has been according to her friends [laughs]. Q. When you hear one of your songs on the radio, do you turn it up or turn it off? A. It depends on whether or not I’ve had enough of the song [laughs]. Q. Which one would you turn up? A. Hmmm, I think “Network News” from “Fate of Nations” and also “Takamba” from “Mighty Rearranger.” It was an important song for me because I was able to express myself. In fact, I’ve gotten much more eloquent as time has gone on. When I was singing about Hobbits and stuff, I didn’t actually really mean Hobbits. I just meant the spirit of where I came from, which is where Tolkien got his idea. But I was 20 when I was writing those things [laughs].